China and Brazil should ditch the US dollar in their bilateral trading and replace it with their own currencies, Brazilian President Luiz Inacio Lula da Silva said Wednesday. In a half-hour interview before leaving Beijing for Turkey, Lula also urged both countries to be "cautious" to make their trade relations balanced. "I believe it's extremely important that we should not rely and be dependent on the (US) dollar only to make our financial transactions," Lula said. — 575 words. Brazil's President Luiz Inacio Lula da Silva arrived in Beijing on Monday with 240 business leaders for a visit aimed at boosting trade with China and promoting what he called a "new economic order." Brazil has become China's largest trading partner in Latin America. The two countries have begun talks about trading in each other's currency thereby bypassing the American dollar. Trade and cultural exchanges are the hallmarks of China's foreign policy. — 332 words. BAGHDAD — A military culture that values strength and a "can do" spirit is discouraging thousands of soldiers from seeking help to heal the emotional scars of war in Iraq and Afghanistan, despite top-level efforts to overcome the stigma, commanders and veterans say. — 1,003 words. Now that farm groups in Canada, the United States and Australia are calling for the introduction of genetically engineered wheat, let's hope we have a more intelligent debate than the last time this topic came around. — 473 words. It has been a busy two months for Tamil ex-patriots around the world, especially in Canada, with one of the largest Tamil populations outside of Sri Lanka. Tamil protesters have lined the streets outside government buildings in Ottawa and Toronto since early April 2009. As fighting between the Sri Lankan Government and the Tamil Tigers, intensified in these last few months, hundreds and thousands of Tamil civilians were killed, injured, or forced to flee their homes as they were caught in the middle of a fierce crossfire. Protesters have been pleading the Canadian Government to take action, push for a ceasefire, and call for an end to Tamil deaths. — 1,003 words. Friends had said, "In the cold of winter, you will appreciate the hot summer days of 2005". They were wrong! I still remember it as one of the hottest summers ever and it didn't feel any better on the cold and windy, -27C day of January 2006. Mind you, I had always enjoyed summer no matter how hot! I could cope… but having officially become a 55+ retiree, my body's coping mechanisms are not as efficient as they used to be. Let me give you an overview of that memorable summer. — 1,525 words. OTTAWA — For the second year in a row, Prime Minister Stephen Harper and his spin machine leads the nominations for the Canadian Association of Journalists' Code of Silence Award. — 877 words. NASA-funded study indicates that an intense asteroid bombardment nearly 4 billion years ago may not have sterilized the early Earth as completely as previously thought. The asteroids, some the size of Kansas, possibly even provided a boost for early life. — 561 words. Can we predict when an asteroid will impact the Earth? Objects with orbits that bring them near to Earth are potential killers. These objects, known as NEOs (Near-Earth Objects), are asteroids (see the astronomy question from week 19: Where is the planet between Mars and Jupiter?) or comets, which we can recognise when they are in the vicinity of the Sun by their characteristic tail. — 420 words. China Labour News Translations (CLNT) has obtained the collective agreement in effect between one of the individual unionized Wal-Mart stores in China and the responsible local trade union committee. It represents the template agreement that has been followed by all of the unionized Wal-Mart stores in China since July 2008. — 1,690 words. Mazda's compact 3 is currently the bestselling car so far this year. With good clearance deals on remaining 2009s, Canadian car buyers feel that although a brand-new model was about to hit showrooms, the old Mazda3 was still a good car. Will the happy-face 2010 model be able to maintain that hot streak? It should, as long as interest rates remain reasonable. Yet the new car isn't a wild departure from the outgoing one, as Mazda didn't mess with success. The overall shape of the Mazda3 is still the same, so you'll still recognize it in the compact-car category. Wheelbase is unchanged, while the car's dimensions have grown by only a few millimetres. The big difference is the curvy front end — the sculpted fenders are a Mazda styling trademark, while the large grille opening makes the 3 look like it's grinning. 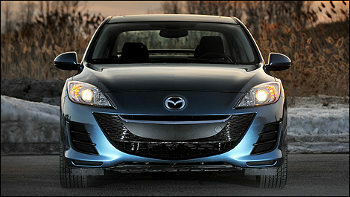 The car's cartoonish smile will also turn up on the CX-7 and CX-9 crossovers for 2010. Well, you either love or hate the new look, but at least it distinguishes itself, and turns a fair amount of heads. At an April 7 press conference, President Barack Obama's special advisor for the Summit of Americas Jeffrey Davidow announced the administration's new plan to provide U.S.-funded "public safety" programs to other governments throughout the Western Hemisphere. U.S. public safety programs are necessary now, Davidow said, because "Latin America [and] the Caribbean are witnessing an increase in criminality and are having difficulty confronting this because of judicial and police systems that need assistance, need more training, need more equipment." — 729 words. Bernie Sanders is the junior United States Senator from Vermont. He has served in Congress — formerly in the House of Representatives — for over 16 years. Read more at his web site. The late Milton Friedman was a provocative teacher at my alma mater, the University of Chicago. He got his students involved with their studies. He was a gifted writer and communicator. And he received a Nobel Prize for his contributions to economics. — 1,661 words. NEW DELHI — Having won the people's mandate, the new Congress-led UPA government is now in a position to go ahead with equity sale in central public sector enterprises (CPSEs) to raise funds. — 217 words. America's fight against moneyed elites has more than 100 years of history. When I lived in Washington, DC, in the 1970s, I got a call from a friend of mine who worked for the Congressional Research Service — a legislative agency that digs up facts, prepares briefing papers, and otherwise does research on any topic requested by members of Congress. — 2,983 words. Newspapers are on a self-destructive retreat from innovation — what's going to stop them from total collapse? If you wanted to pick the moment when the American news business went on suicide watch, it was almost exactly three years ago. That's when Stephen Colbert, appearing at the annual White House Correspondents' Association dinner, delivered a monologue accusing his hosts of being stenographers who had, in essence, let the Bush White House get away with murder (or at least the war in Iraq). To prove the point, the partying journalists in the Washington Hilton ballroom could be seen (courtesy of C-Span) fawning over government potentates — in some cases the very "sources" who had fed all those fictional sightings of Saddam Hussein's W.M.D. — 1,633 words. Thanks in large part to the NAFTA trade model, taxpayer funded bailouts of key industries could end up subsidizing the offshoring of American jobs. — 336 words. National Review's April 20 cover story on Afghanistan ("The War That Hasn't Been Tried") was as sunny as the majestic scene of blue skies, mountains and mosque on the cover. It was written by Rich Lowery, the magazine's editor, and had this promising subhead: "With patience and the right strategy, we can win." Problem was, Lowry never defined what he meant by "win." — 922 words. A version of this article appeared in the Daytona Beach, Fla., News-Journal. Propaganda has its noble moments. In World War II, Hollywood was happy to prove it, softening up soldiers with movies like "Casablanca" so they'd be willing to leave their girlfriends to kill Nazis ("where I'm going, you can't follow. What I've got to do, you can't be any part of"), and toughening them up with movies like "Sahara" so they'd get a whiff of the heroics they could tell their girlfriends about when they came back. Along the way, Humphrey Bogart defeated fascism and Hollywood produced a few classics still worth watching in a 21st century rich in sleepless nights. — 994 words. Helena Cobban is a veteran Middle East analyst and author. She blogs at twww.JustWorldNews.org. Israeli Prime Minister Benjamin Netanyahu will meet with Pres. Barack Obama in Washington next Monday, amid speculation that their two administrations may be heading for a confrontation worse than any they have known since 1991-92. — 1,204 words. Russian and NATO leaders have very different conceptions on the future nature of modern war — and the Russian ideas seem to be grounded in a lot more realism. Russia is moving energetically to modernize its army with the latest T-90S Main Battle Tanks, Black Shark tactical support attack helicopters, BMP-90 armored personnel carriers, Multiple Launch Rocket Vehicles and many other systems. — 563 words. While the Western press has largely fixated on the intense international struggle over the Caspian's hydrocarbon riches, farther east in Mongolia another rivalry is brewing between Russia and competitors for another valuable energy source — uranium. Moscow has established a commanding lead to develop the country's energy reserves, and its dominance seems likely only to grow with time. — 1,022 words. MUMBAI, India – The 10-year-old child star of "Slumdog Millionaire" was awakened Thursday by a policeman wielding a bamboo stick and ordered out of his home. Minutes later it was bulldozed along with dozens of other shanties in the Mumbai slum he calls home. — 940 words. Celebrities and everymans are the pundits of choice for the GOP. Is it any wonder Republicans are in total chaos? Before the 2004 election, no small number of progressives were heard to say to their friends, "If George W. Bush gets re-elected, I'm moving to Canada." With but a few isolated exceptions, they weren't serious — just expressing their exasperation that a majority of their fellow citizens could sign up for another four years of what was already a disastrous presidency. Conservatives saw the sentiment as yet more evidence of liberals' shaky loyalty to the Land of the Free. — 1,419 words. Barely born, AFPAK, the acronym for Afghanistan and Pakistan as a single theater of operations, has already been displaced. Pakistan is now the most dangerous of the two theaters, or PAKAF. The heart of Islamic extremism lies in Pakistan. Almost all terrorist trails in Britain track back to Pakistan. — 1,080 words. Radical Islamic terrorism is becoming a more multifaceted and concrete threat to Germany. "Islamist terrorism continues to be a real threat to Germans," Interior Minister Wolfgang Schaeuble said Tuesday in Berlin at the release of the 2008 report by the Federal Office for the Protection of the Constitution, an agency that monitors all forms of extremism in the country. — 611 words. Global warming may include some periods of local cooling, according to a new study by researchers at the University of California, Berkeley. Results from satellite and ground-based sensor data show that sweltering summers can, paradoxically, lead to the temporary formation of a cooling haze in the southeastern United States. — 516 words. BAGHDAD — Iraq faces an agricultural "disaster" this summer if Turkey continues to retain waters from the Tigris and Euphrates rivers which have sustained Iraqi agriculture for millennia, experts say. — 590 words. Previously, on Eat The Press, I had taken great pains to mock many of the inane arguments for why it is nonsensical to be told by the grown-ups who preside in the House and Senate, as well as those who pundit for a living on the teevee that American prisons — sufficient to house all manner of depraved criminals — were not up to the task of also housing the terrorists currently at Gitmo. Apparently, these grown-ups are unaware of America's awesome and terrifying ability to incarcerate people while simultaneously possessed by the belief that these detainees have MAGIC POWERS. Last week, the House GOP crafted a dumb bill called the Keep Terrorists Out Of America Act, sculpted from pure angel feces. And this week, the Senate Democrats caved in to the nonsense, removing the funding that President Barack Obama requested in the war spending bill to close the prison. — 276 words. "A dog gave birth to puppies near the road and was cited for littering." The first drive-in movie theatre was established in Stoney Creek, Ontario. The "Skyway" opened on July 10, 1946 and the featured movie was "Casanova Brown." Penn & Teller, two Las Vegas based magicians aren't plumping for more thorough security searches at airports; they believe the current system already infringes on civil liberties. "We're just against the idea of people allowing themselves to give up freedoms when confronted with fear." They make their point in a presentation that lampoons security proceedures and entertains the public. — 1,006 words. Poet, journalist and novelist Alden Nowlan (1933-1983) was writer in residence at The University of New Brunswick from 1968 to 1983. 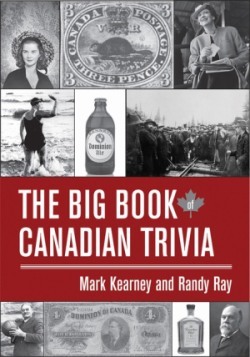 Born near Windsor, Nova Scotia (Canada), Alden Nowlan wrote prolifically, releasing twenty-four books in nearly as many years. Bread, Wine and Salt earned Nowlan the 1968 Governor General's Award For Poetry and may make him the only Canadian writer with less than a grade five education to earn such prestige. — 867 words. Four centuries after Shakespeare's career was in full flower he continues to capture headlines. A few years ago it was the discovery of a play, "Edmund Ironside," attributed by some scholars to the Bard. Then a new biography appeared written by Peter Levi, who also claims to have found a series of 14 previously unknown verses by someone who signed them "W. Shk." — 1,469 words.